Episode “Mythics” On Its Way! “Mythics” is sure to surprise host CEC, as well as listeners, since there are no certain ways to tell who will show up, or call-in, unexpectedly. Some very fun and very secret footage has been leaked from behind-the-scenes at KCHUNG Studios during the latest Inspirado Projecto episode “Phenomena”! Inspirado Projecto interviewed MEAT Clown Drone CRM-114 in the KCHUNG studio about the history of MEAT Clown Industries, their button solutions, hidden compounds, and subliminal advertising practices. We also played a sound collage by Man Behind The Machine (peel your eyes for their album “Sigma 7” on iTunes), special station identifications by Grandma Gladys Clendenin, music by Jimmy Byron from his album “Transition,” fun facts by Henry D. Horse, music by Sky Chief, a children’s song by Fraulein Schwartz, music by Moondog, some riffs and epiphanies by CEC, a surprise artpiece sent in from Gabriella Gladys, a coded song by Ice Cutters called “Andy Kaufman Lives,” discussed the KaPow Intergalactic Film Festival, and encountered some surprise guests! Thank you to Station Manager, Nick Shoemaker, for orchestrating a perfect broadcast! The KCHUNG archive link of “Phenomena” can be listened to here. The 3 KCHUNGateers pilot Inspirado Projecto through its various multi-dimensions…. Who will our guests be? You will have to tune in and find out! Do you have up to 3 minutes of audio that you’d like us to play on the radio (riffs, poetry, songs, dreams, epiphanies, children jabbering, soundscapes, unique theories and discoveries, etc)? 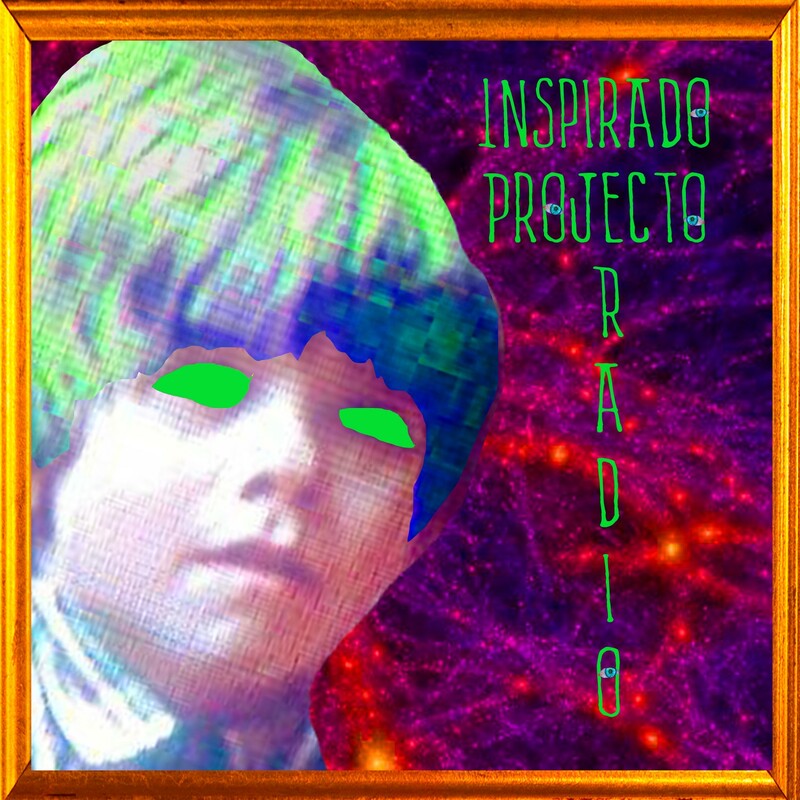 If so, email them to inspiradoprojecto@gmail.com along with any information we need to know about them (and you want credit for), and if we have time, you’ll hear them on the show! We had a marvelous time on “Wonverse,” our Inspirado Projecto episode that landed on a very cosmic day….8-8! Double Infinity blipped through the KCHUNG studios in such a dynamic fashion, everything unknown and unseen showed itself to us and the listeners. Our guest Geoff Gardner, spoke about his screenplays and upcoming projects. Later in the show, a mystery guest appears! We also play Jimmy Byron’s song “It’s Sad,” a Man Behind The Machine song “In Your Computer,” along with Dale Cooper speaking about Twin Peaks, a new episode of “Celebrity Afterlife Report” and other fun!